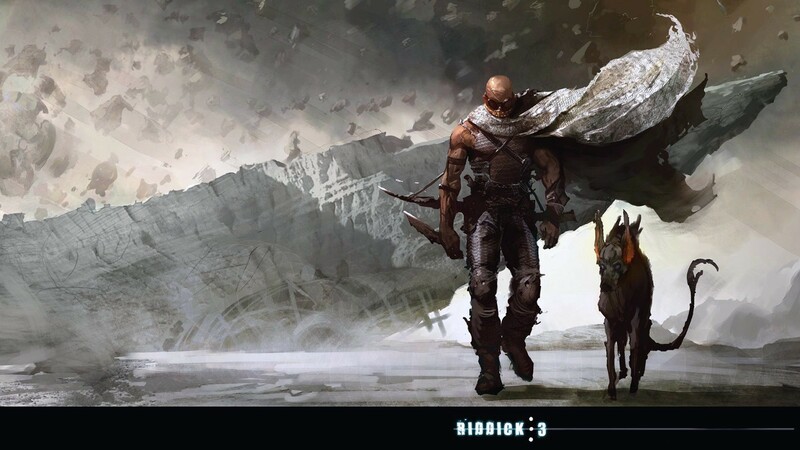 13 years ago, David Twohy introduced us to ruthless anti-hero Richard B. Riddick in Pitch Black, spawning something of a cult following in the process, and birthing a star in action hero Vin Diesel. The simplicity of that film was substituted for its world-building sequel The Chronicles of Riddick, a disappointingly messy follow up that almost crippled the franchise. 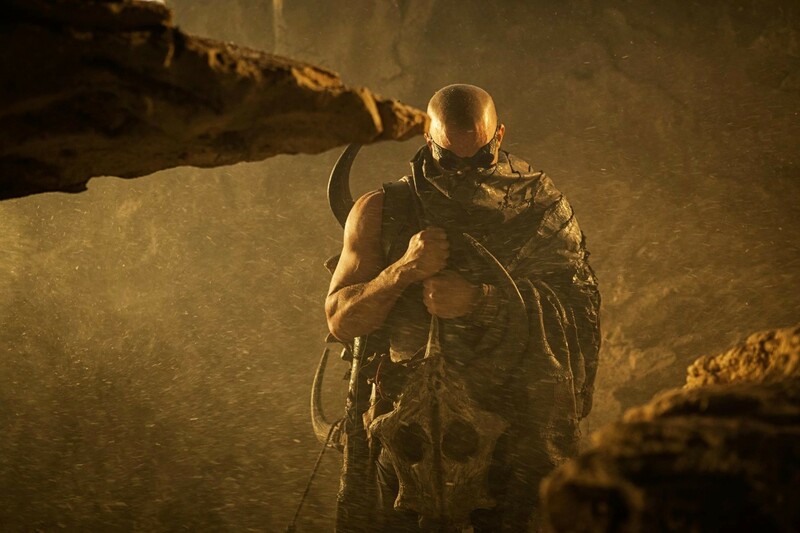 The filmmakers passion for the character has led to an unlikely third instalment – simply titled Riddick – and thankfully it has more in common with the first effort than it does the second, as we witness the franchise thankfully returning to its roots. In what is a ballsy opening act, we begin with our titular protagonist badly wounded and left for dead on a sun-scorched planet. The first 20 minutes or so are spent watching Riddick acclimatise to his new surroundings as he fights for survival against vicious hyena-like predators, one of which he somehow quells and trains as a pet. He soon realises the only way off the planet is to activate an emergency beacon, thereby alerting mercenaries to his position. Whilst the first group of killers to arrive are merely searching for Riddick to claim their bounty, the second ship that lands is captained by a man whose hunt for the Furyan warrior is somewhat more personal. The straightforward narrative is very self-contained, with little by way of major plot advancement for the series as a whole. Instead Twohy has opted to link the film with the previous instalments, and though the interaction between Riddick and Matt Nable’s Captain is a well-developed sub-plot, the deeper connotations will be lost on viewers who haven’t seen Pitch Black. The same can be said for the brief reappearance of Karl Urban’s Vaako, who had a major part to play in Chronicles. It’s when the mercenaries arrive that Riddick – both character and film – are in their element. In keeping with Riddick’s ruthless nature, the film is rated R – a point which the filmmakers were adamant on – and it makes for some great sequences. The best moments have been spoiled in the various trailers, but Riddick’s creative savagery delivers just enough gory, crowd-pleasing fare on display, including what might be the best cinematic kill this year. 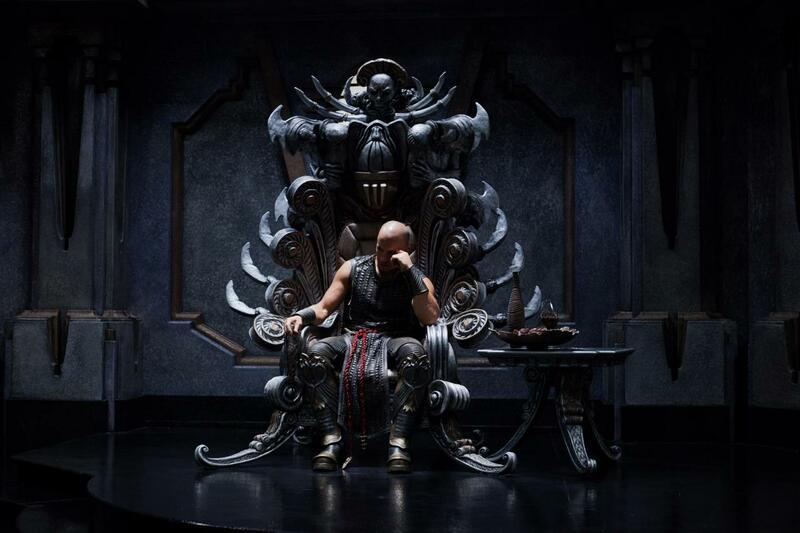 Invariably, those moments are accompanied by amusingly silly expletive-loaded dialogue to amplify Riddick’s exploits. Other script decisions however are ill-advised, with one bizarre homophobic exchange proving especially needless. Regardless, Vin Diesel’s skill-set is well-suited to the eponymous Riddick. Reprising his role for a third time, it’s a confident performance from the leading man. Katee Sackhoff is also good fun as the no-nonsense second in command Dahl, and her frequent sparring matches (both verbal and physical) with Jordi Mollà’s Santana deliver plenty humorous moments. However, there are far too many lazily written characters here, chief among them a rookie soldier who is also an evangelical Christian. Discounting the fact that those two traits don’t mix well, he could have easily been written out of the film and it would have had zero effect on the proceedings. Pitch Black still represents the high point of the series, but Riddick is an entertaining and efficient sci-fi flick. It’s uncertain whether Vin Diesel’s anti-hero will get another big screen outing, but fans of the franchise can take some measure of satisfaction from this trilogy capper. This entry was posted on September 4, 2013 by Amonymous. It was filed under Film Reviews and was tagged with Dave Bautista, David Twohy, Jordi Mollà, Karl Urban, Katee Sackhoff, Matt Nable, Pitch Black, Riddick, The Chronicles of Riddick, Vin Diesel.